To be perfectly honest, I'm not much of an e-mag guy. I tried Google Currents for a while, but never quite saw the utility of it, and so quickly transitioned back to my beloved Feedly and Google Reader. That's not to say I haven't realized the limitations of RSS many times, though, especially as certain websites I follow look to integrate more multimedia into articles. (Having to use Chrome to listen to audio or video in a weird custom player is really frustrating.) And concededly, apps like Currents look a thousand times better than feeds, which are traditionally text-heavy. 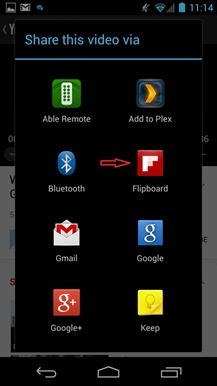 A major update to Flipboard, released today to Google Play, may just get me to reconsider magazine-style news apps. 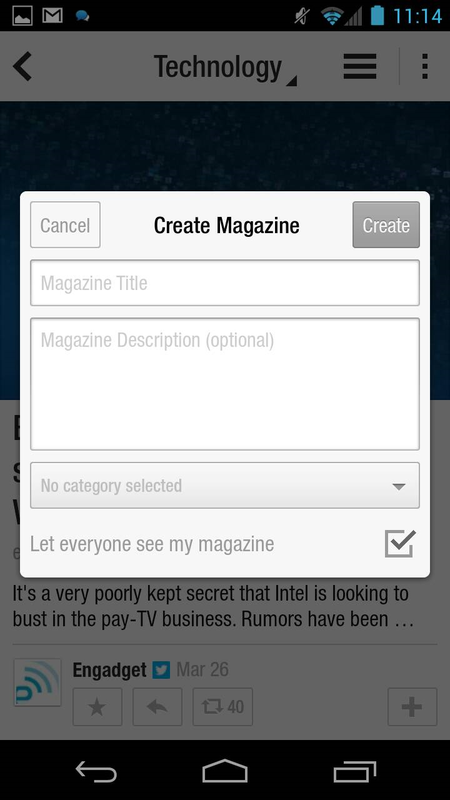 In addition to notification, search, and recommendation improvements, the new version comes with two unique features that I find particularly appealing: the ability to 'make your own magazine' by collecting and saving content, and a web-based interface for viewing and sharing user-produced mags. The magazine creator looks pretty sweet. 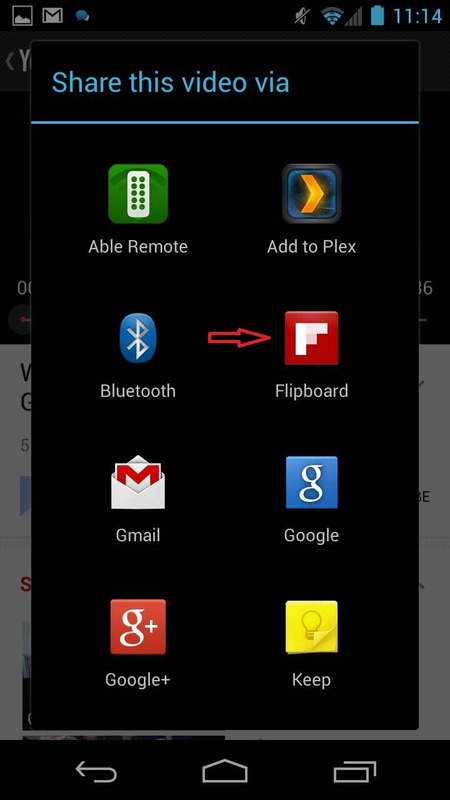 According to the Flipboard blog, users can insert articles, photos, videos, and audio into magazines they produce. Embeddable content is available through Flipboard, of course, but even better, it's also possible to 'flip' content from native applications - like YouTube or the browser - into the app. 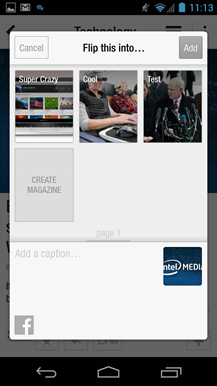 Custom magazines are shareable via smart URLs that automatically link mobile Flipboard users to content. 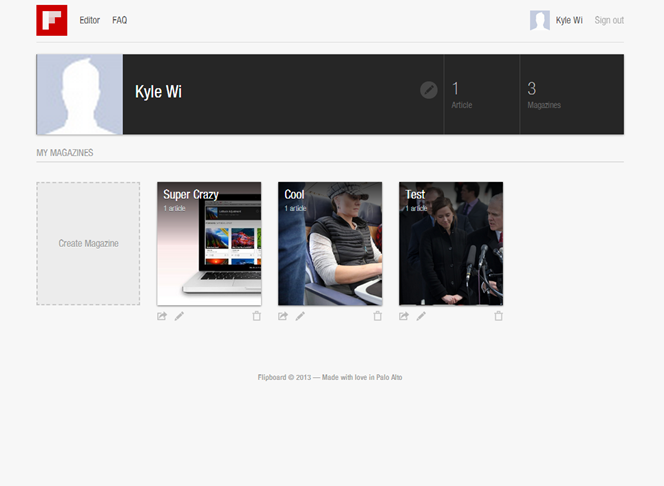 Flipboard's new web creation tool is an interesting move for the company, but one that certainly makes sense. 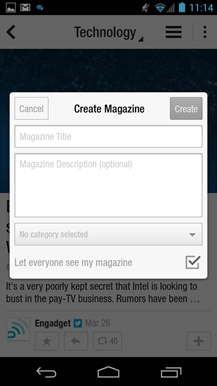 By navigating to editor.flipboard.com, users can manage their magazine subscriptions and continue to add content to their personal magazines, tasks both made infinitely easier by the presence of a mouse and keyboard. Personally, I'm most excited about the web interface. Though I'm aware of Google Reader's impending shutdown, I still use it religiously on PC, and so I think a web-based replacement would help ease my move to another service. I find the ability to create magazines and share them somewhat less exciting, but still cool; being able to view an interactive magazine about an Android smartphone, for example, would be much nicer than a PDF. All in all, Flipboard 2.0 has come the closest to making me consider switching from RSS. Luckily, I have until July to make a decision.